This past weekend, Lu was gone at a bachelor party for a good friend of ours who is getting married this October. While of course I missed him (especially when I first woke up and then went to bed), it’s nice to have time with no distractions to get the things done you don’t normally do, because you want to spend time with your husband/boyfriend/girlfriend/wife. 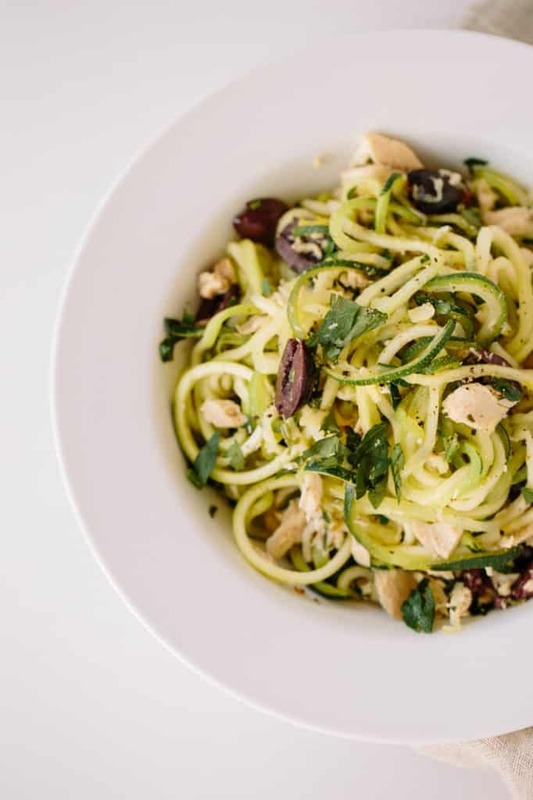 I like to keep Inspiralized mostly about spiralizing. However, over the years, as I have grown as a woman and an entrepreneur, there are SO many other things I wanted to say and share. 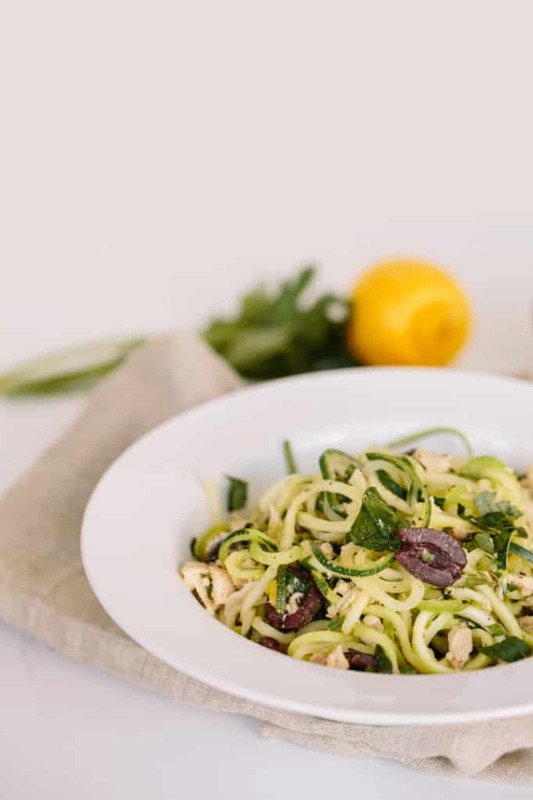 So, you know what, I recognize and respect that probably 99.9% of you found me because of spiralizing and you followed me to find healthy recipes and cooking tips for the spiralizer. I get that, and I want to continue to be your best resource for everything spiralized. This first happened wtih my workout selfies – I’d see comments like, “I thought this was a page for food?” What did I do? 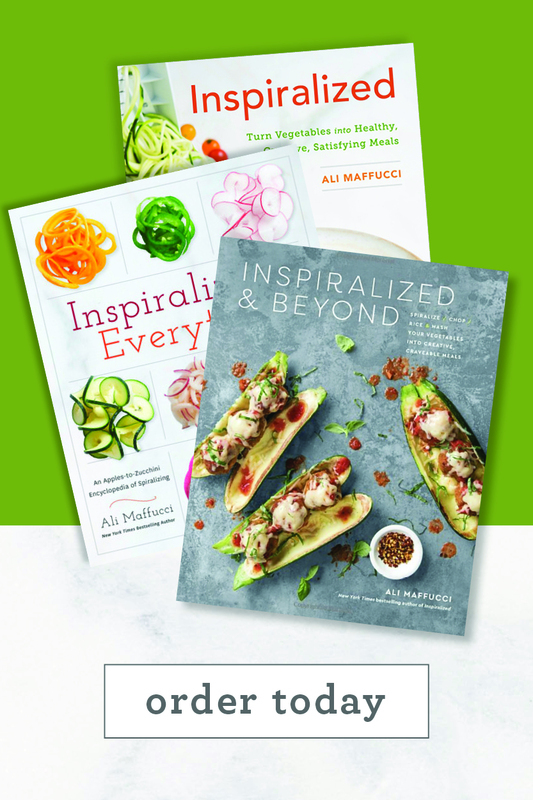 Started @GetInspiralized. But hey, that was a blessing, because now I have an Instagram account where I can track my progress with photos – I love that Instagram handle, it has motivated me to push myself to get fitter and fitter. Anyway, I decided to start my own personal Instagram so I can share everything not-Inspiralized. 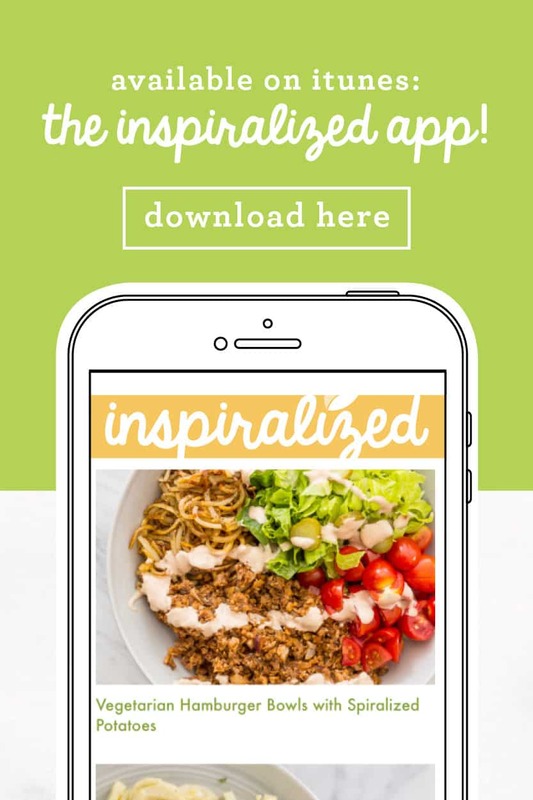 Long story short, if you are curious about my personal ramblings, food I make without the spiralizer, my style, and my life as an entrepreneur, follow me on InspiralizedAli.com! And for those of you like the commenter below, if you think all of these separate Instagram handles are “too much,” you are your own person – I’m not forcing you to do anything, I just personally wanted another outlet to share my life and my thoughts and if you’re interested in that journey, follow. If not, don’t. 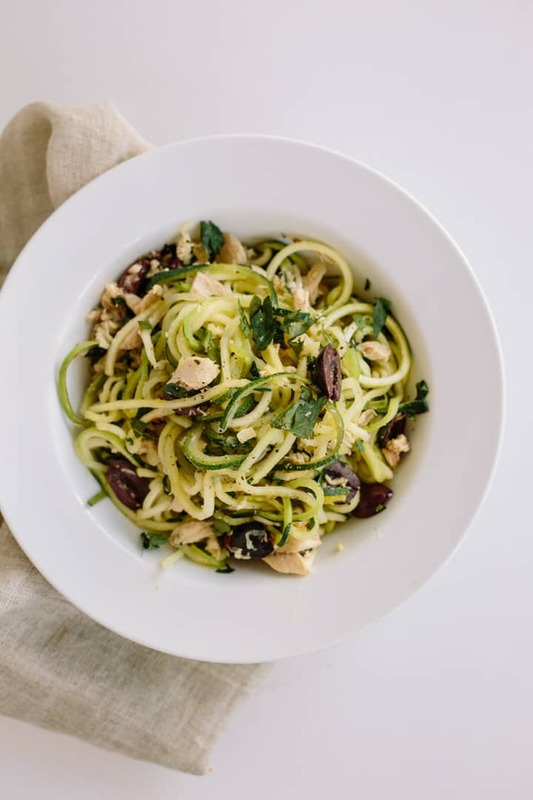 It’s simple as that – if you follow Inspiralized for everything spiralized and that’s all you care to know about, you’ve come to the right place. 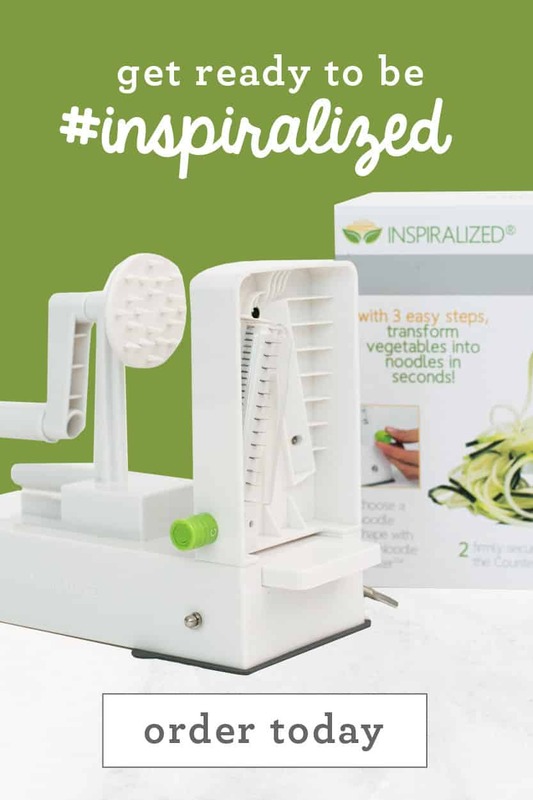 Inspiralized.com and @Inspiralized will always be your place for cooking with the spiralizer! I guess you can’t please ’em all! Today’s recipe is one of my favorite go-to lunches during the week – I never posted it to the blog, because I thought it was too simple, but it’s absolutely delicious and easy to make. Plus, it’s very versatile – it goes well with other veggies, like carrots, cucumbers, beets, kohlrabi, chayote, or even butternut squash! I always have olives and tuna on hand just for this recipe! Heat the olive oil in a large skillet over medium heat. Once heated, add in the garlic, red pepper flakes and let cook until fragrant, about 30 seconds. Add in the zucchini noodles and cook for 3-5 minutes or until al dente/cooked to your preference. Once cooked, stir in the parsley, lemon juice/zest, tuna and olives. Toss to combine and heat up the tuna. I love it when you share your easy-peasy quick meals. I cook for one so it works out great for me :). I've always enjoyed reading your personal stories with your recipes, and following your instagrams never bothered me. So I'll bookmarking your personal blog :) Have a great week! Thank you Pam! I'm so happy to hear the positivity and so glad you like the recipe. I, too, want you to always share recipes like this that you think are so simple we don't need the guidance! I'm ALWAYS looking for inspiration, and the easier the better! 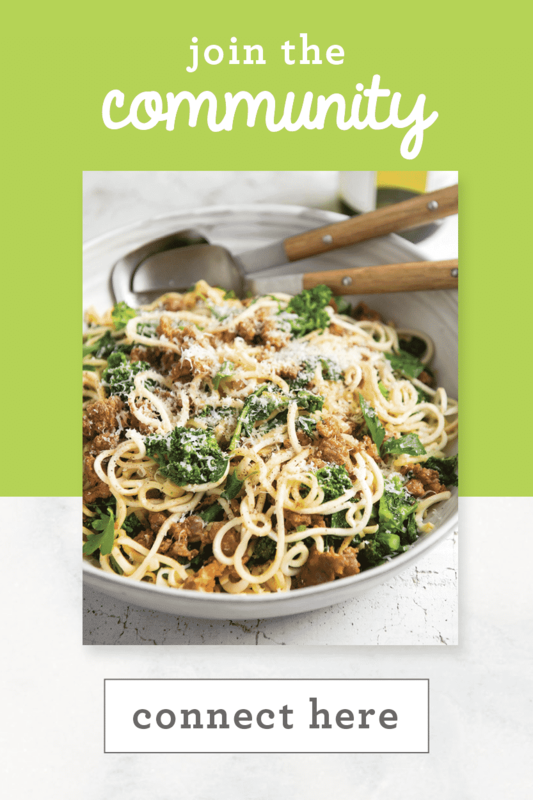 This recipe is exactly the kind I need -- something quick when I get home late, but still wonderfully delicious! Thanks, Ali...and enjoy your new ventures. I'll be following, too, from time to time. But the recipes are a daily fix that I will continue to love. Noted! Thank you so much for the feedback!! I'm so impressed you found solutions and did not take the critiques personally.....I'm not sure I would have been able to handle criticism so well! :) Personally, I enjoy reading how the activities of your daily life "inspired" the recipes==please continue to share! Sandra, thank you for the kindness! You can always see my Instagram photos on a Desktop! Just go to Instagram.com/inspiralized or Instagram.com/alissandrab ! Thank you for your support, Edith. I love easy recipes! When I was younger I loved to cook, now not so much. I try to find recipes that have only a few ingredients and is easy to prepare. I read that you were going to be in AZ this week, what part will you be visiting? It is going to be beautiful here this week!! Enjoy! I love the mix of recipes, and personal stuff! If anything I'd like more about your exercise on the website and not just Instagram! Have you tried this cold? Great recipes and what a shame people who did not want to read as much didn't just scroll to the recipe! Or, think, oh well I didnt get one this time. Sorry that some people haven't be more decent to you about it, it is after all your blog and you have given some great recipes. I will follow your other blog and if there are some posts I don't want to read, easy, I wont. Thanks, love what you do. Just ignore the mean people. They don't count. They can always click to another site. Unless they're your boss and give you a paycheck, their criticism is unimportant. IMHO. Well you stole my post! Well said! Mean people can now leave the room! I just love your recipes and reading what's going on in your life. We always look to others for tips on getting fit, what to eat and how to lose a few pounds. So thank you for all your great writing. It's not unusual you should get criticisms. There are a lot of people out there that don't know how show manners and politeness. Anyways, could I ask you to please let me know the posting when you shared what you do in your day and perhaps a sample day of what you eat? Always looking for new ideas. Thanks and keep up the great work!! I love that idea! Yes, I will do a sample meal plan! Thanks for the great suggestion. My point of view is probably weird, but I have liked it when you've shared personal things on Inspiralized. When I find a blog I like, I am interested in the person behind it, and am more appreciative when I know who that person is. Every blogger is more than their recipes. I think that posting whatever you want on your blog is your prerogative. At least one other blog I follow has posted their travels, and I've learned a lot of interesting things from those posts. I'm signed up for your Allisandra B. posts, and am sure I will enjoy those, too. If a post if not of interest to any of us, we have the option to not read it! I'd like to 'like' all the posts that say not to worry about what grumpy people say...it takes more time to make a snotty comment than to just move along, which says more about them than you. Post what you like. Just don't ever stop with the recipes. :) I'm trying this tonight but with 'packaged' salmon (which I've never tried before!). This was perfect! From short prep time to absolute perfect flavour combination in the mouth! It was the 1st recipe I saw on my IG feed and I knew I had to make it for dinner. I invited my friend over and there wasn't a lot of talking other than: Mmm! This is so good!" I don't like cooking and this was absolutely perfect! It will most definitely come back often in my menus! Also, good on you for balancing the different parts of your life through your different feeds. I stopped blogging for 2 years because I was fed up of the negative comments. I picked it up again because it was an outlet for me, and I thought: "Nobody's forcing you to read my blog, therefore I'll write it up the way I want to!" Keep up the good work! I love it all! I completely agree with the other numerous positive comments - just keep being you and ignore the haters, they will always hate. And seriously though, who are they to dictate your content when you are providing them with FREE recipes?? Anyway, I originally found you when I began spiralizing, however I've come to enjoy your more personal posts even more than the recipes. I like that you allow your audience to get to know YOU, the PERSON behind the recipes. From this blog I followed your @getinspiralized instagram and will now follow you in your newest endeavor of Alissandra B. I think you're great and an inspiration to other like-minded women (and probably men too, haha) across the globe. Thank you for all you do to encourage people into a healthy, well-rounded lifestyle! Thank you for posting this quick, simple recipe. I love all of your recipes, but it has been hectic with school back in session (yup, I'm a teacher) and this is perfect! BTW Ali, just ignore the negativity. There is a reason why you are where you are today and we love you for it! 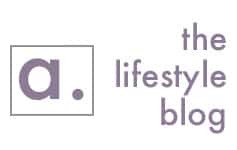 These blogs are the way they are because you put a part of you into it and if you didn't, I am sure you wouldn't enjoy it. I love and look forward to your emails each day and as a bride-to-be, even your wedding tips and tidbits help! Keep it up and don't even question changing yourself; we love you for who you are and what you are doing!! Ali, I tried this tonight and it was delicious! 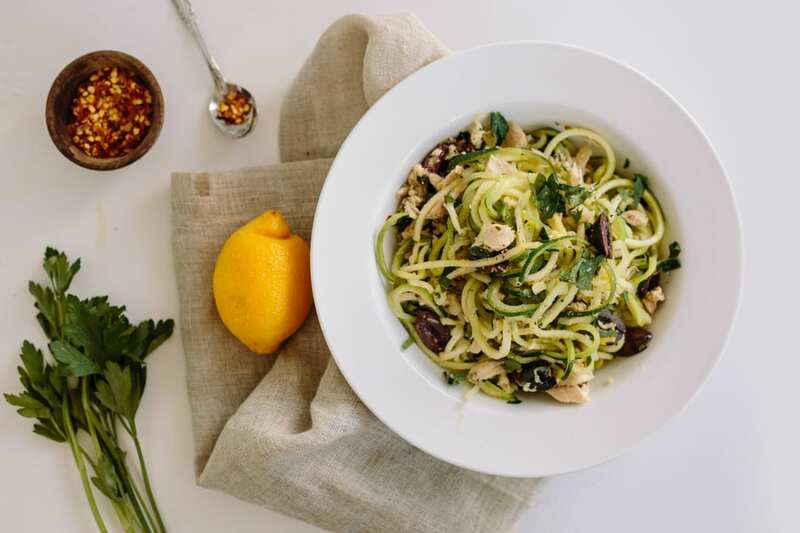 I love olives and tuna and garlic and lemon together, so adding zucchini noodles made it perfect. I did use the Itailian tuna in oil so it added a few more calories but was so worth it for the added flavor. Served it with baked tomatoes topped with fresh herbs, garlic, s&p and evoo then baked in the oven foe 25 mins. Yummy!!! 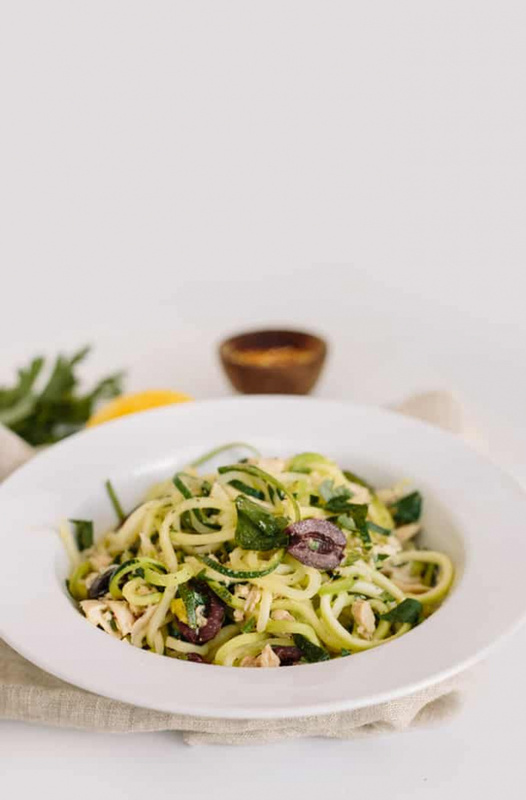 I'm new to spiralizing, and I have the Benriner version. When your recipe says "blade D", is that the fattest blade? I couldn't a conversion chart anywhere. I was also thinking of getting the book, but worry that it's written for one machine. The recipes look great, I am looking forward to trying them. Thanks. The book is written for all machines - the blades are identified! I'm not sure about the Benriner, but based on the pictures of the noodles, you should be able to see! Also, it's total preference - especially with a dish like this, it doesn't matter what size the noodles are! I tried this recipe tonight and was surprised by how packed with flavor it is. I wasn't expecting that from a tuna dish, I guess. Since I was out of red pepper flakes, I substituted cayenne. 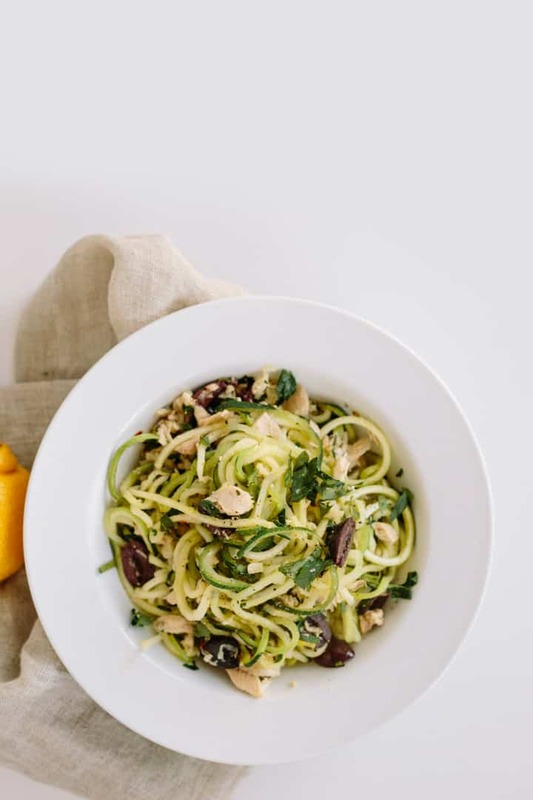 The heat of the spice, the brightness of the lemon, and the full-bodied taste of the kalmata olives were divine together and complemented the garlicky zucchini and parsley. I'll be making this one again and again. Thank you for all your great recipes and posts! Ali, You are awesome. You don't need anyone to tell you that! I love your blog and concepts regarding food. I sent your book and Inspiralizer all the way to Switzerland! Just reading the comments of this recipe made me realize, for the negative comment you must have received at least 50 positive ones. You are amazing and appreciated by many people. I can tell you you've made a huge impact on my family and many of our friends and neighbors. Thank You! 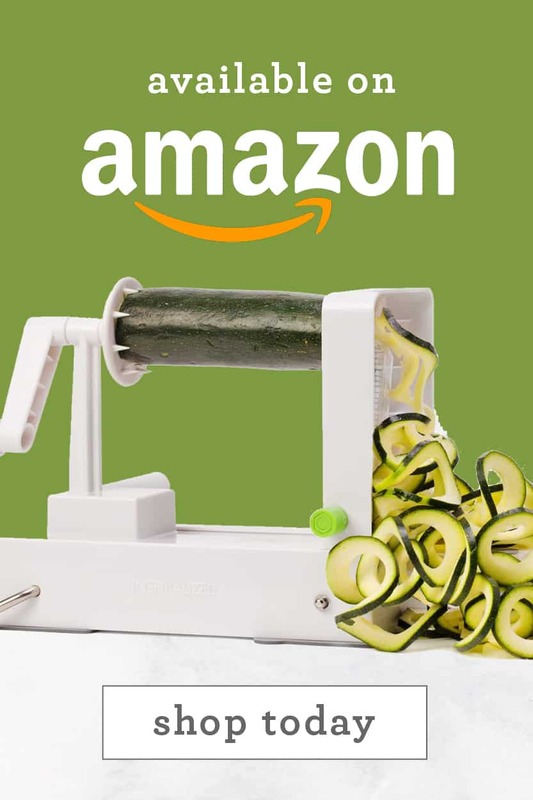 I'm new to spiralizing. I've seen it on lots of blogs but the brand they always used had such mixed reviews I never bought one. 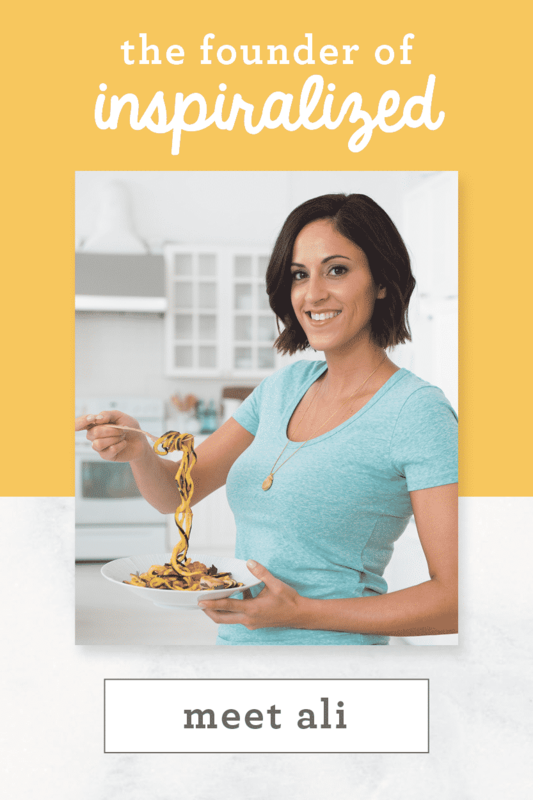 About a month ago I stumbled upon your spiralizer online and could see you addressed some of the issues the others were suffering from and order it! 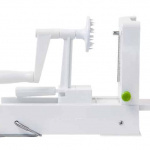 My husband and I are long time vegans and this new tool has given me a fun new way to prepare raw veggies and fruit. I had an abundance of cucumbers and zucchinis in the garden this summer and we have enjoyed many of your recipes. 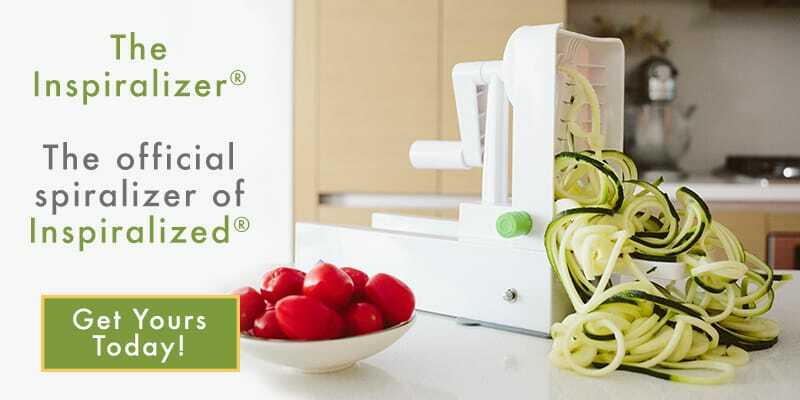 Thank you so much for your great spiralizer and recipes. And...ignore the negative comments. Why feel obligated to confirm their small mindedness with a comment? If you ignore them they will eventually go away. Celebrate your life anyway you want to on your blog.....it's beautiful to see someone who has a zeal for life. Congrats on your new wonderful and positive blog. Thank you so much for this super kind comment, it made my day!! This meal was delish! Will be making it often. I love the flavor combo and it was done in 10 minutes! Perfect when you have four kids running around :) I have been following all your instagram accounts and was very excited to see your AllisandraB website (i can't wait to try your chili recipe). Thanks for much sharing so much with us! I love your recipes and your writing! This was so delish, have made 2 days in a row. Added cherry tomatoes and a sprinkle of shaved Parmesan cheeses. It was like summer in a bowl. Thank you, Ali, for sharining this recipe!!! Have to say I just tried this dish and the flavors of the olives/tuna/lemon were fabulous together!! Not only that, but I was able to prep and cook in under 20 minutes. That is so unusual because it usually takes me double what the recipe prep time calls for. I could eat this dish all the time! This was SO simple and so delish! Got home late from work and had a delicious meal on the table within half an hour. I used 2 cans of tuna just in case. I was not sure how well it would go over but my husband loved it and said 1 bowl filled him up! He said I can definitely make it again. Thank you!